Please find below all frequently asked questions regarding Mobile Net Switch. Will I get my license immediately? Yes, directly after you have placed your order, you will receive your license via e-mail. Is Windows 10 / 8 / 7 / 2012 supported? Yes, Mobile Net Switch works perfectly on these Windows editions. Our software has been designed to not even trigger User Account Control (UAC) and doesn't require 'Run as Administrator'. Your license is send immediately after you have placed your order. If you have not received your license, please check you junk/spam folder. Else, please contact us using our contact form. Do I need Administrator privileges to switch network locations? No, Mobile Net Switch has been designed to allow none Administrator users to use the program without needing more than normal user level privileges. Yes, directly after you have placed your order, you will receive your license via e-mail. Some anti-virus and/or anti-spyware programs block changes to the proxy server. Please check the settings and exclude Mobile Net Switch (MNS.exe) from this software. When using McAfee VirusScan Enterprise + AntiSpyware Enterprise, modify the rule "Protect Internet Explorer favorites and settings" and add "MNS.EXE" to the process list to be excluded from this rule. Installation instructions; To install Mobile Net Switch download and run the installation file and follow the onscreen instructions. Installing Mobile Net Switch takes only a couple of seconds and doesn't require a restart. Upgrade instructions; To upgrade any previous version of Mobile Net Switch, simply download and run the the latest version. The Mobile Net Switch installer will automatically detect the old version and upgrade to the new version. Your current settings will not be modified in any way. Which versions of Windows does Mobile Net Switch support? Why is my network card not listed? Windows 8 and 7 disable network adapter(s) when they are not plugged in and your machine is running on battery (Smart Network Power). If you plug-in your power or network cable before activating a profile, Mobile Net Switch will automatically detect your network card at profile activation and you not need to refresh the network list. To prevent Windows 8 and 7 from unloading your network card driver. 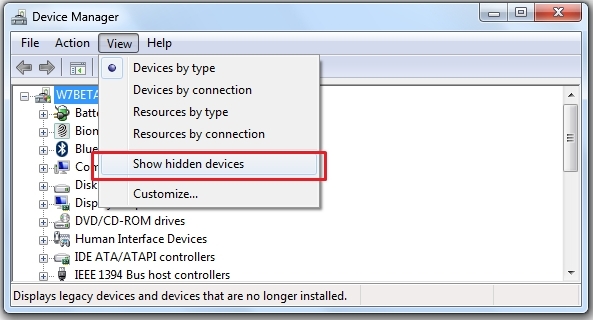 Disable this power saving feature via the Device Manager (devmgmt.msc) -> Select the Properties of your network card -> Select the "Power Management" tab -> Uncheck "Allow the computer to turn off this device..."
Also check your machines BIOS settings. Most brands (e.g. HP, Dell and Lenovo) allow you to configure/disable LAN power management. The network list can also be empty because of WMI errors on your system. Mobile Net Switch uses WMI to retrieve network card information from Windows. If this list is empty, there might be a problem with the WMI service on your machine. Please have a look at the status of WMI services and any related error messages in the Event Log. Please note: On some machines, an older driver for an Nvidia GPU (with Optimus technology) is blocking all access to WMI. Please update to the latest driver version to resolve WMI problems. If the problem remains, disable the NVWMI service or contact us for assistance. To resolve most common WMI issues, use the (Resolving WMI issues) procedure described below. Click Start, and then right-click My Computer. On the shortcut menu, click Manage. In the left pane of the Computer Management console, double-click Services and Applications. Under Services and Applications, click Services. In the right pane of the Computer Management console, locate and then right-click Windows Management Instrumentation. On the shortcut menu, click Stop. Start Windows Explorer, and then locate the %SystemRoot%\System32\Wbem\Repository folder. Delete all of the files in the %SystemRoot%\System32\Wbem\Repository folder. Hanging or crashing issues are mostly caused by a WMI error on the machine. WMI is used by Mobile Net Switch to retrieve network card information from Windows. This issue has been reported mostly on Windows 7 systems from Dell using Intel network cards. Other models and Windows versions might also be affected by this WMI issue. This can happen when you insert a network card (for example PCMCIA or PCI) into a different slot. Windows will hide the original network card but will still load the driver. Sometimes this can cause strange networking problems and/or delays within Windows. Click Start, click Run, type cmd.exe, and then press ENTER. Type set devmgr_show_nonpresent_devices=1 and then press ENTER. Type Start DEVMGMT.MSC, and then press ENTER. Expand the Network Adapters tree. Right-click the dimmed network adapter, and then click Uninstall. How do I join a different domain via Mobile Net Switch? Mobile Net Switch has been designed as a low impact utility that assists users and organizations in managing the different settings of remote networks. With Mobile Net Switch you can access resources in all foreign networks that you will connect your machine to, without changing domain membership. Currently most professional machines are configured to connect to a workgroup or domain. the configuration can remain the same and Mobile Net Switch can be used to authenticate and connect to resources in other networks (Drive mappings, printers, proxy server, running scripts, etc). This will ensure you do not lose your current user profiles (program settings, desktop and start menu, etc), do not have to configure multiple user profiles for each network and do not have to restart multiple times. The machines will also remain supportable by your IT department and by Microsoft (via service packs, updates and professional support) as no changes are made to the Windows logon process and interface. When you extract the Windows 7 version of Netdom.exe; please ensure you keep the directory structure as set in the zip file (netdom.exe in the root, and a subdirectory named "en-US" containing netdom.exe.mui. To prevent Mobile Net Switch from asking your registration code every time you modify the domain name of your system, modify the following registry key, restart Mobile Net Switch and enter the registration code once. How to automatically activate a Dialup/VPN connection? How do I perform an unattended installation? Download and install the program on a machine. Register the program and configure the appropriate settings. Export the Mobile Net Switch configuration to 'settings.reg' using the 'Export Settings' option in the menu 'Options'. You can place these two commands in a batch file or (logon)script for automatic deployment. The program will now be installed, configured and registered. This procedure works best when the target machine is configured in the same way as the source machine. Yes; Mozilla Firefox is fully supported in Mobile Net Switch. Yes, Mobile Net Switch fully supports the Google Chrome web browser proxy settings. 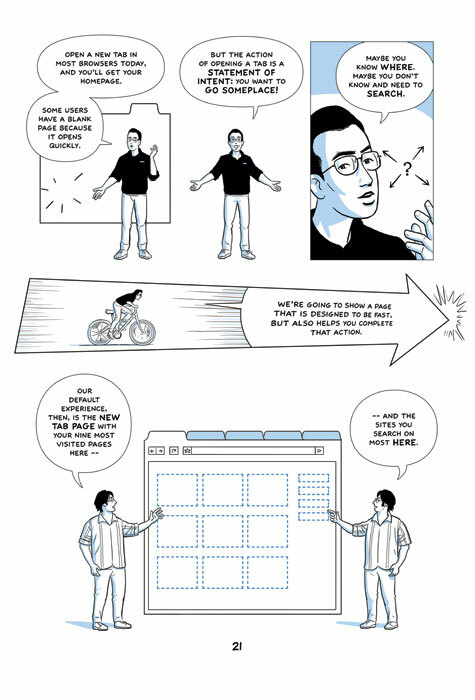 Google Chrome uses a special home page (never before seen in other browser). Mobile Net Switch will therefore not modify the home page of Google Chrome. How do I disable/enable Integrated Windows authentication in Internet Explorer? To configure a Mobile Net Switch profile to enable Integrated Windows authentication, add the following .reg file to the Scripts page of Mobile Net Switch; "Enable_IE_integrated_windows_authentication.reg"
Please send an e-mail to LicenseKeyLost@MobileNetSwitch.com and report the name you have used to register Mobile Net Switch. "Fatal error - Installation ended prematurely because of an error"
On x64 systems go to C:\Windows\SysWOW64, on x86 machines go to C:\Windows\System32. If the problem remains, please use our Alternate Installer, or send us the installation log via the procedure below;. I'm getting the following error: "WMI Provider Host has stopped working"
And you see Event ID 10 reported to the event log of your machine. If this doesn't resolve the problem, please follow the procedure described in the following Microsoft KB article: KB950375. If this doesn't resolve the problem, please contact us. All executables and DLL's are digitally signed by "RH Computing". When the program is uninstalled, these files will be automatically removed from your system. Please send your request via Info@MobileNetSwitch.com and we will contact as soon as possible.